Warm Up on Hilton Head Island. Sunny days and breezy nights. Bike rides and golf drives. Plates piled with fresh seafood. Morning sunrises over the Atlantic Ocean. You can’t help but be drawn to the Lowcountry life, where the outdoors is always calling and a tranquil porch waiting. Try something new this winter. 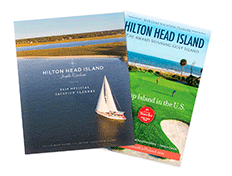 Visit Hilton Head, and see why we’re Condé Nast Traveler’s #1 Island in the United States and voted #1 Island in the Continental U.S. and #2 Island in the World by readers of Travel+Leisure Magazine. Now, connect to America’s Island even faster! Offering several daily, non-stop flights, the Savannah / Hilton Head International Airport and its carriers help to make your plans to escape winter’s chill a reality. View the best travel offers of the season. Try something new this winter.